Every year, many individuals suffer severe injuries in a Target store due to an accident or incident caused by negligence. The injuries often occur by slipping and falling on slippery surfaces inside the store or outside in the parking lot and on sidewalks at the building entryway. Other times, victims are hurt because of negligently maintained areas in the store, malfunctioning displays or by huge crowds shopping on Black Friday. As a result, victims will often file a claim or lawsuit against the company seeking financial recovery for their injuries. Target is one of the largest public retail companies in the country with more than 1700 establishments nationwide. The big-box stores provide a variety of merchandise including groceries, clothing, beauty products, bedding, electronics, and others. The massive square footage of the buildings accommodate the needs of many shoppers supported by dozens of employees from early morning until late evening seven days a week. In addition to the merchandise, many of the retail establishments also contain a pharmacy, photo department and food court café providing centralized seating along with a bank, smartphone kiosk, portrait studios and franchise restaurants. Many slip and fall accidents inside Target stores occur because employees do not post hazardous “Caution When Wet” signage on wet floors or fail to clean spilled food and liquids properly. Other times, victims of serious injury are hurt by falling merchandise stacked high on overstock shelving. Different types of injuries are the result of falling due to uneven surfaces inside the store and outside the building on the sidewalk or parking lot. Receiving a compensation claim or financial award in a lawsuit is not automatic and requires proving your injuries are the direct result of a negligent act of an employee or another customer at Target. Because you are the claimant seeking compensation from the defendant, you are legally obligated to prove your case. However, these types of cases are often incredibly complex. Getting the compensation you deserve requires the skills of a reputable personal injury attorney experienced in Illinois premises liability law. Rosenfeld Injury Lawyers LLC can gather adequate available evidence to build a solid case for compensation. Most Target stores have installed high definition surveillance video cameras positioned inside and outside the store including inside elevators and on escalators as a way to circumvent crime including shoplifting and fraud. Funds to cover medical expenses, hospitalization, treatments and surgeries to ensure you heal adequately. Payment to cover your medications, therapies and ambulance service to the hospital. Money for all household services including at home nurse or nurse’s aide, gardener and maid service. Funds to replace lost wages, earnings or income. Money to pay for your pain, suffering, depression, emotional anxiety and mental stress directly associated with your injuries. 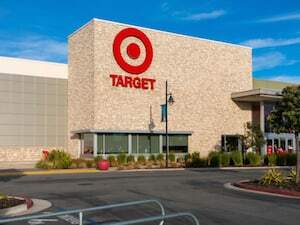 If you have suffered severe or mild injuries while shopping at any Target or Super Target Marketplace, you might be entitled to receive financial compensation. Your skilled attorney will provide medical assistance to help determine the level of your injuries and the value of your claim for compensation. You attorney working on your behalf will file all necessary paperwork before the expiration of the state’s statute of limitations to ensure that all of your rights are protected. 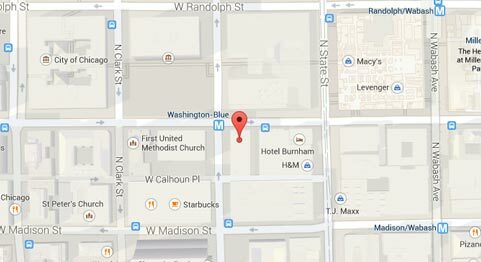 Rosenfeld Injury Lawyers LLC at (888) 424-5757 has experience in handling Chicago Target store accident cases. Our legal team can evaluate your claim and provide a variety of legal options to ensure you receive adequate recompense. Our lawyers accept these cases on contingency, meaning no upfront fees are required. We work directly with claims adjusters to negotiate an out-of-court settlement or can file a lawsuit on your behalf to take your case in front of a judge and jury.